I have been blessed on several occasions. But the summer of my 50th year didn’t feel like one of them. I’d just finished my 15th year in ministry and was leaving a church I’d come to love. I had recently lost everything in a house fire. Shortly after that I lost my mother and my marriage. I decided to walk the Camino de Santiago Compostella – a 500-mile spiritual path from France – across the Pyrenees – to ”the end of the earth” at Finisterre, Spain near Santiago. Once a Catholic pilgrimage, today it transcends any one religion. The Camino draws pilgrims the world over. Anyone willing to walk through pain and fear will find joy and purpose. One afternoon, 300 miles in, I finished my daily 20+ mile walk, arriving at a hostel. Like many hostels, it was next to a church. Most of the towns on the Camino – and the churches in them – were built to provide hospitality to pilgrims. All such towns understood – especially in the earliest days – that the welcome offered to pilgrims meant the difference between life and death. A bed, a meal, some medicine and attention… these were sacraments. And they were given to all, not just those who looked or believed like they did. But besides these, we were given something else. We arrived on the annual feast day where a special pilgrim’s mass was being held. I sat with 200 pilgrims, dirty and tired, packed in a chapel alongside a hundred townspeople – most of whom ran the hostel, the store, the restaurant, or the small infirmary. Few of the pilgrims were Catholic. Few of the townspeople were not. Maybe it was because I was a hundred miles past where my cynicism stopped walking. Beyond my pride. Beyond even self-pity. But when the priest – in broken English – spoke of Love lasting beyond everything breakable – bodies, promises, dreams – I began to weep. And when he called us to the altar and put both hands on my head and said, “God loves you,” I felt different. It didn’t matter that my arms were folded in front of me in the sign of a non-believer. It didn’t matter that my God hangs out in different places and speaks a different language than his. What mattered was that acceptance and compassion were offered, and I set my cynicism and ego aside so they could be received. This is what it is to be blessed. It’s what happened when I was a child brought before the church who dedicated themselves to raising me… it’s what happened at my ordination when I became a minister dedicating myself to help raise others. On the Camino – and in this church – it’s like that: a little bit of both. We’re sometimes blessed; sometimes the ones doing the blessing. But, regardless, to be a holy rite requires going the extra mile, leaving behind pride and offering up love. As I prepare to leave for a short time, I invite you to be blessings to one another. Provide hospitality of the heart. Reach out. Love one another. The Rev. Greg Ward will be away from UUSM from the end of June until early September. 10. First of all, a general rule is in place throughout the summer that any illness beyond the sniffles or a hangnail is not allowed. If this rule is broken, see rule #6 and rule #1. 9. Everyone in the congregation is required to show up as often as possible for the express purpose of being nice and being helpful for those in need. 7. Everyone is required to think nice thoughts about Rev. Greg and hope he is safe and well. He will be thinking the same things about you (extra points for rooting for the Angels while he is away). 6. For questions about pastoral care, contact the pastoral care team (pastoralcare@uusm.org). This will go to a team of people who work with the Pastoral Associates, the Care Ring Team, and the Board, and who will arrange for a minister if a need for rite of passage is indicated. 5. For questions about worship, ask the worship associates (worshipassociates@uusm.org). This will go to the Executive Team of the Worship Associates and they will respond promptly. You can check the newsletter or e-blast to find out who the worship associate will be for a given Sunday and you can check with them. 4. For questions about communications, contact our Church Administrator, Nurit Gordon (admin@uusm.org). She will consult with our Communications Team as appropriate and be able to help determine how, when, where, and if an announcement can be made on one of UUSM’s communication vehicles (Newsletter, website, e-blast, flyer, bulletin board, or worship announcement, etc.). 3. Override all general impulses built in to the DNA of most UUs to break the rules. Try following these rules as an experiment, or a spiritual practice… or as an ironic act of defiance against your normal propensity to defy the rules. 2. When in doubt, employ a hearty and humble sense of humor. Laugh at the world. Laugh at yourself. Appreciate others. 1. Love one another. This is the paramount rule. Whatever other rules go awry, this one is non-negotiable. Follow it. And let others follow it with you. Remarkably, you will find that, when employed faithfully, it has an amazing ability to take care of almost every issue and make all other rules superfluous. Developmental Ministry is different than Settled Ministry or Interim Ministry. It is not simply holding a place until the “real” minister arrives. Developmental Ministry is designed to identify, explore and address any unresolved conflicts or organizational issues that would inhibit or prevent successful new ministry from rooting here. It is designed to identify and point out to the congregation what ministers (and new members) are looking for so that the congregation can do its work in preparing to be the place great leaders (including great members) want to be. Rev. Greg has spent a year observing, and talking, and pointing things out. This is an opportunity to have a congregational conversation about what he has come to understand, what he will be recommending, and what he needs to have happen in the next couple years to prepare for the kind of exciting future we want and deserve. He has written a report which is encouraged reading before the conversation, although all are welcome. Find the report at http://www.uusm.org/for-members/congregational-conversations-surveys-reports. A light lunch will be provided. 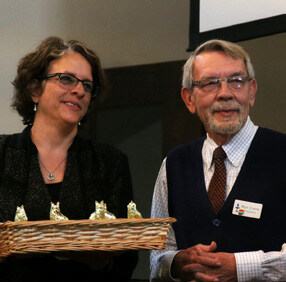 Following a heartwarming Religious Exploration service on May 20, the UUSM Annual Congregational Meeting showed appreciation for leadership and movement toward a more unified and energized future. Developmental Minister Rev. Greg Ward set the tone with a comical video and distributing “Cat Herding” awards to outgoing members of the board and Nominating Committee. The congregation laughed and showed their appreciation with enthusiastic applause for “retiring” leaders. Rev. Greg called for us to “lift each other up” in the face of challenges, and he expressed his “privilege” to serve as our leader. Ron Crane, outgoing board president, praised the Right Relations process and the improvement in board meetings and congregational life. He emphasized compassion – heaving weathered personal storms during his tenure – and received a standing ovation in thanks for his years of service to our community. Kim Miller and Vilma Ortiz presented the treasurer’s report and the operational budget for 2018-19. Kim described a large potential deficit in operational budget that – with the help of a supplemental pledge drive spearheaded by the board and a small group of major donors – was whittled down to about $20,000. The church remains on a solid financial footing with zero debt and about $880,000 in the bank. 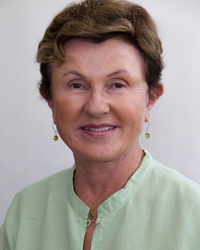 Kim expressed her appreciation of Church Administrator Nurit Gordon for her help throughout the year, supporting the budget process and tracking responsible spending. Detailed discussion of the deficit became heated, but only for moments. A few members criticized the use of financial reserves to cover 2018-19 spending and the continuance of the Deficit Reserve Fund “indefinitely.” Others had questions on rentals and the board’s use of $20,000 from the Minister Equity Sharing Reserve fund to serve as seed money for the supplemental pledge drive’s Sustainability Fund (used to match pledges). Ortiz emphasized the importance of pledging and, especially, pledge fulfillment – the key to financial stability. Outgoing Nominating Committee Cochair Bob Dietz introduced the slate of nominees for the Board of Directors and Nominating Committee. He noted that none of the board nominees will continue in the same position, and five have never previously served on the board. None of the nominees faced opposition. After the votes were tallied, Dietz led the congregation’s installation of the new board: promises of mutual faith and support were exchanged. The meeting adjourned at under two hours, the shortest and most amicable Annual Meeting in recent memory. The Covenant of Right Relations has been adopted by our congregation. Thanks to everyone for all the hard work drafting the covenant, providing feedback, and beginning to learn and practice the skills that are necessary to live into it. It has been a two-year process of coming together, telling our stories of personal meaning, developing our values as a congregation, learning about covenants, and thinking about what we really need in order to be in right relationship with one another. We truly appreciate the time and care that our congregation has put into this necessary work. A new team, headed by Beth Rendeiro, will be organizing Second Sunday Supper (SSS) through May, 2019. Our SSS has grown and evolved from a simple potluck of about five to ten people in 2008, to a monthly “social supper” that usually has between 50 and 100 guests. The original goal, from Ron Crane and John Fels, and supported by Sue Bickford, Alan and Amy Brunell, Kate Schlesinger, Melinda Ewen, Barbara Gibbs, and others over the years, was to make sure every member of our community had access to a warm, nutritious meal at least once per month. While that remains a focus and goal for SSS, it has become a fun social gathering scheduled on the Second Sunday of each month from 5:45 (pre-dinner drinks) until 7:30 pm. This is a church evening with no agendas. We talk with each other, and welcome new members or friends, in an informal and congenial atmosphere. Sometimes people from the community make their way in, and we welcome all who are seeking a convivial place to converse and eat. Sometimes there is a performance, movie, or speaker after the dinner, which means we can have a full evening of friendship, food, and interesting presentations. All ages are welcome and encouraged to come. Childcare can be arranged with a pre-reservation. We will still ask rotating groups at Church to sponsor and host one or two suppers per year. Expect to hear from a team member regarding the month we are asking your committee/group to host. This could include setting a theme if you wish (Italian, Vegetarian, Comfort Foods, etc.) The sponsoring group is responsible for ensuring that there are enough entrees for 80 folks. 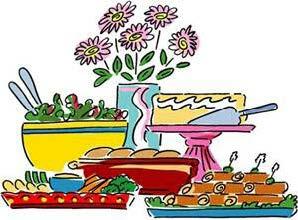 All other food is provided by guests, which include side dishes, salads, desserts and/or drinks/wine. Guests can certainly bring a main dish as well. Whatever you bring, please bring enough for eight people. We ask everyone to bring something; whatever is manageable for you. In recent years the success and the attendance of this supper has grown, but it became increasingly challenging for the sponsoring group to do all the necessary work, including the cleanup. We began a separate, donations-only fund to pay for one or two members per month to be paid as cleanup support. So far we have about $800 in this fund, donated by generous members. Any donation you can make to this fund will be most appreciated and used only for the cleanup portion of SSS. Please send your donation to the office and put “Second Sunday Supper” in the memo line. We need at least $100 per month, or $1,200 per year, to pay for adequate help. This convivial, warm, inclusive evening can only continue with your active participation. We’re very much looking forward to seeing you in Forbes, every second Sunday at 6 pm. Sunday, June 10, 6 pm to 8 pm, Forbes Hall. Join us to share in conversation, fellowship, and good food. What is the Sustainability Fund? congregation by matching increases in pledges. The fund is designed to encourage congregational financial responsibility by encouraging members to pledge at levels that are expected for a church of our size and cost of living area (or geo-index). How does the Sustainability Fund work? There are four ways in which an increased pledge may be matched. receive an additional $200 to its operational budget. increase will be matched by the fund. For example, if you are currently pledging $800 per year, and you increase your pledge to $960 per year (20% increase), the fund will match the $160 increase. Based on your increase and the match from the fund, the church will receive an additional $320 to its operational budget. increase will be double-matched by the fund. For example, if you are currently pledging $600 per year and you increase your pledge to $800 per year, the fund will match your increase with $400. Based on your increase and the double-match from the fund, the church will receive an additional $600 to its operational budget. the ideal pledge average ($1600), the fund will contribute $400. For example, you make a new pledge of $1600; the fund will contribute $400. Based on your new pledge and the contribution from the fund, the church will receive a new donation of $2000 to its operational budget. Are there other conditions of using the Sustainability Fund that I should be aware of? Yes. Each new pledge or increase in pledge is made with the intent to maintain the pledge at that level for the next three years. In addition, each person who wishes to qualify for a match needs to have paid their previous year’s pledge. Will the fund continue to match my new pledge or pledge increase for the next three years? year, you will be expected to maintain your current pledge level without a match. What if I additionally raise my pledge next year? Will the matching program still be in effect? Yes, anytime you raise your pledge! The aim of the Sustainability Fund is to continue to match pledge increases and higher entry level pledges so that in the long term, we are moving in the right direction toward pledge levels that will help us attract the strongest minister possible, when we are ready. Where does the money in the Sustainability Fund come from? The Sustainability Fund is funded by generous members of the congregation who would like to see the congregation move towards financial health and sustainability. Anyone who desires can be a Sustainability Fund contributor. The minimum donation is $100. How much money needs to be in the Sustainability Fund to fulfill all of the matches? To date, the Sustainability Fund has received more than $46,315 in cash and pledges (plus an additional $20,000 from the Minister Equity Sharing Fund). Of that, approximately $34,538 (and growing) will be paid out to match 2018 pledges increases and new pledges. The Board estimates that it will take between $80,000 to $90,000 over three to four years to support a matching pledge incentive program to move UUSM to a place of financial health. Therefore, the board will continue to use Sustainability Fund support to help move us in the right direction. Can the money in the Sustainability Fund be used for anything else? No, it is a restricted fund to be used for matching pledges only. It’s not too late to increase your pledge and/or contribute to the Sustainability Fund and help us move in the right direction towards financial health and sustainability! We will meet at the church before the 10 am service, then use Lyft and Uber to carpool to West Hollywood. Sign up at the Faith in Action table or contact Sarah Mae Harper. The July 2018 issue of the UUSM Newsletter will be published on June 25. Deadline for that issue is Friday, June 15 at noon. Please submit announcements to office@uusm.org. Submit articles to newsletter@uusm.org. The Rev. Greg Ward’s sermons are now available for purchase at the church office at $10 per publication, published monthly. All proceeds will be contributed to the Minister’s Discretionary Fund to help those who are in need in our community. If you would like to order a copy of the monthly sermons, you can either mail a contribution to the church or call the office and pay with a credit card, and the sermons will be mailed to you. You can also stop at the office during office hours to purchase a copy. 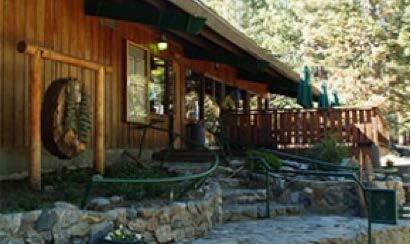 Come for a Summer September Weekend in the Mountains and share in church community. 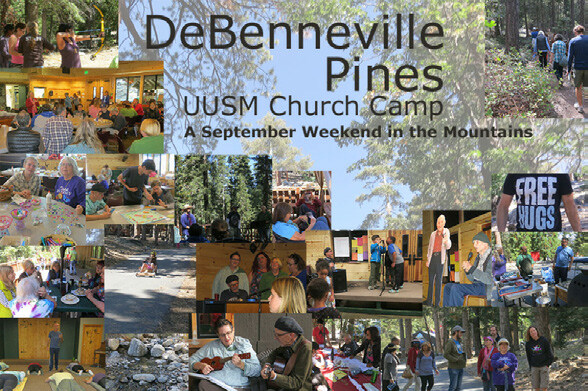 Enjoy fellowship and food, games and music, hiking, meditation, yoga, workshops and relaxed conversation amidst the great pines, firs, and oaks, all while breathing clean air at 7000 feet. Church camp is located just beyond Angeles Oaks on Highway 38. Arrive Friday afternoon or evening, locate your cabin, relax and check out the schedule of weekend activities. On Saturday, attend workshops, hike, play cards or games, swim, or just hang out with friends. Sing-along during the cocktail hour or at the talent show after supper. On Sunday morning, join worship service under the trees. There will be good food all weekend long and children get to play together. It’s an easy-going time for the whole family! Sign up after services in Forbes Hall or through our church camp page here. Contact Camp Registrars Karl Lisovsky or Chela Metzger for more information. 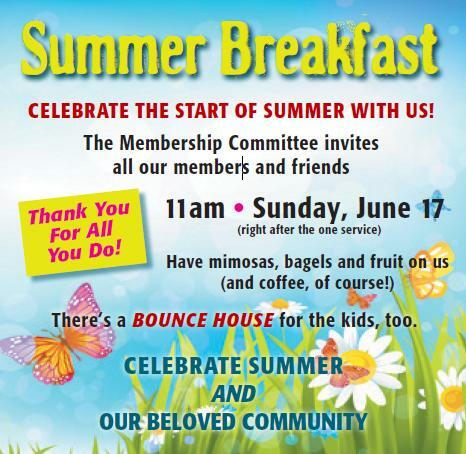 On June 10th UU Santa Monica will have as part of the Sunday morning service a recognition and celebration of those who have joined our church in the last year or two. This is the first such service to be held since 2016 and we look forward to formally welcoming and celebrating these newest members into our church community. Charles Haskell will have his camera and lights set up in the southwest corner of Forbes Hall to take head shots of members (new or old) for the directory. If you are unable to make this date, Charles promises another opportunity in September, and again in January of next year. 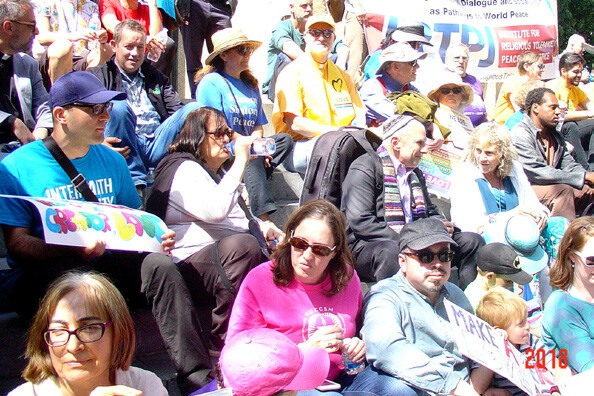 The Third Annual LA Interfaith Solidarity March kicked off as planned on Sunday, April 20. 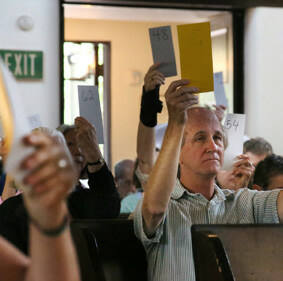 A contingent from UUSM met at Wilshire Boulevard Temple, the starting point, and included Rev. Greg, Sarah Mae Harper, Hugo Contreras, Deirdre Deitel, Cathie Gentile, Stan Bemis, Sarah Robson, Mary Romanek, Linda van Ligten, Greg Wood, Jila Tayefehnowrooz, Mollie Knute with young Davy Gersowsky, and James Witker. As before, the crowd representing people of all faiths, philosophies and creeds walked 1.1 miles down Wilshire Boulevard and up Vermont Avenue, stopping at St. Basil Catholic Church, Immanuel Presbyterian Church, and ended with a final program and refreshments at the Islamic Center of Southern California. Together, we again affirmed the importance of religious freedom and the need to condemn all hatred and violence in the name of faith. The lineup of speakers this year was diverse and distinguished. Headlining the event was noted author and TV personality Reza Aslan (Pipes Lecturer at UUSM in 2012), who attended with his family and offered words of encouragement and gratitude. With his young sons literally hanging off him, Dr. Aslan joked that with a wife from a different faith tradition, and children who are spiritually curious, everywhere they go is an “interfaith march.” Rabbi Neil Comess-Daniels treated us to a song on his guitar. Ryan Bell, Humanist chaplain at USC and an organizer with the Secular Student Alliance, spoke as a representative of the non-religious community. Where was everyone else? From the moment we arrived, we remarked at how much lower the turnout was this year. Even as hate crimes have risen – especially against Jews, Muslims and Sikhs – and amid fears that America is becoming less tolerant of its religious diversity, we were disappointed at how few came out this year from the participating congregations. Our UUSM delegation was smaller this year, and no one from other area UU congregations joined us. Dr. Arik Greenberg of the Institute for Religious Tolerance, Peace and Justice, the principal organizer, thanked us for being there and noted how much UUSM’s support has meant to the event. I hope we can do better next year. I hope you can help. Last year, we learned about the invasive Polyphagous Shot Hole Borer, an insect accidentally brought into California in 2003, which has spread from California’s southern border to as far north as Santa Maria. This insect attacks mature trees, where it lays its eggs and nourishes its young with a fungus that is toxic to the local flora. No tree is safe, from natives to ornamentals. Infected trees will have oozing spots on the trunk and appear to be dying from the top down. Fortunately, however, young trees are not attractive to this pest and are therefore not as vulnerable to the fungus. 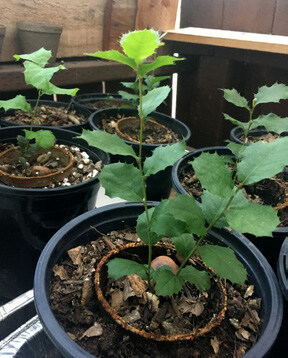 After hearing about the insect, John and I looked at each other and John said, “Let’s grow trees!” In September and October 2017 we began our mission, starting with native oak trees. We collected 25 pounds worth of acorns, and in January we started germinating them. Before long we had over a thousand viable seeds. In February we were planting new forests in our local hills and individual trees at people’s homes, and the local mortuary. Tree People asked us for 63 trees. We are now partnered with the Santa Monica Mountains Conservancy, California State Parks, the Boeing Company, and other organizations and individuals. Los Angeles County Supervisor Kathryn Barger of the 5th District stepped up to support our efforts with $10,000. Our goal this year was to plant more than 100 trees, but surprisingly, with the support we have been given, we have either planted or given away many hundreds. Our non-profit, “Save Chatsworth Inc.,” is a 501(c)(3) charity. We have two locations available for the shade houses needed to continue operations. Each week the two of us, along with a team of volunteers, water and maintain the saplings we have already put into the ground. We also lead hikes, give presentations, have acorn potting parties, and reforesting plantings. Next, we’ll formalize all the details needed to run the non-profit, build the shade houses, and get a truck. We have a water tank on a trailer loaned to us by the Chatsworth Kiwanis, but we are looking for a 1/2 ton or 3/4 ton pick-up to haul the trailer. We must take care of the “babies” for their first year or two, and we will be watering at least twice a week as it heats up. Got trees? YES! 7th Principle: Respect for the interdependent web of all existence of which we are a part? John and I live this. We believe in caring for our natural resources and the home we share with all living things. Hopefully, by the time our trees begin to reach maturity, scientists will have an antidote for this destructive insect. 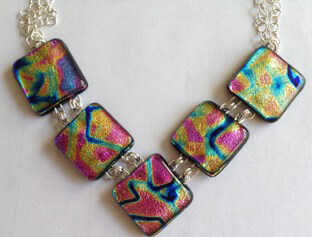 This event, which raises funds for Faith in Action activities, will feature art crafted by church members, including the pictured necklace made of dichroic glass by Bettye Barclay, edible goods, and other items. Funds go to support our homeless project (Peace and Social Justice Committee), Lunches for Bunches (Hunger Taskforce), and Green Committee co-partner Community Services Unlimited (Paul Robeson Community Wellness Center). The last meeting of the current board met in Forbes Hall on May 8 with seven board members, Rev. Greg, and nine guests in attendance. Two board members were ill. Kikanza Nuri-Robins lit the chalice with quotes from Dao De Jing, the foundation of her spiritual practice. Four board members would be leaving the board including me (Patricia Wright), and this will be my last Splinters article. It has been a pleasure to serve the congregation. Others are Kim Miller, Jerry Gates, Kikanza Nuri-Robins, and Kit Shaw, who replaced Emily Hero in April. The new board took office immediately after voting at the Annual Meeting on May 20. We welcomed new member Sherman Neusom. The board gave tribute to the generosity of Dianne Fletcher Hoppe and Carl Hoppe for their $10,000 per year over five years support of the music program above and beyond their pledge to the operating fund. Rev. Greg reviewed a survey of board members about how he should spend his time. Rev. Greg reordered some priorities that he deemed were trust-building priorities. His highest priorities are trust-building and leadership development, and he stressed that they are related. Kit Shaw reported on the directions that the Stewardship Team is contemplating, which include aligning the pledge year with the fiscal year, and eliminating rollovers. While the intention was to inform the current board (and get their feedback), the board passed a motion to align the pledge year with the fiscal year. Kim Miller prepared a report with details supporting the motion and the notion to no longer use rollovers. These steps, when implemented, would require conversations with the congregation. The real stewardship conversation is about values and vision. Rev. 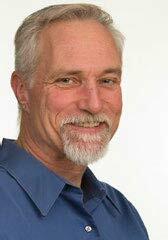 Greg has suggested that the stewardship team and the board participate in a new Stewardship/Generosity program from the Pacific West Region of the UUA. Institutionalizing a Ministry of Generosity will provide religious leaders with materials and support to shift congregational practices and transform culture to promote generosity in all areas of congregational life. The board passed a motion to transfer unused board funds to the Second Sunday Supper. Other board actions included the appointment of Alicia MacLennan, Aubrey Sassoon, and Linda van Ligten to the Right Relations Team. Steven DePaul and Jeffrey Ellis were appointed to the Investment Committee. UUSM board meetings are held on the second Tuesday of each month and are open to all members. More details can be found in the minutes of each meeting, which are posted on the UUSM.org website in the “members only” section or by talking directly to board members. UUSM board meetings are held on the second Tuesday of each month and are open to all members. More details can be found in the minutes of each meeting, which are posted on the Board Documents page in the “For Members” section (member-level log-in required), or by talking directly to board members. So, you have taken your kids to help out at the soup kitchen, with lunches for bunches, attended women’s marches, Black Lives Matter rallies, and other social justice demonstrations. Awesome! Great work parents, but what about Pride? June is Pride Month. As we know, families come in every shape, size, and color of the rainbow. Many of our UU children are educated about LGBTQ issues thanks to the Our Whole Lives (OWL) program at UUSM. However, have you let your children know how important these issues are to you? Have you talked with your children about homosexuality and transgenderism? Have you demonstrated and shared with them positive attitudes and values towards gay people, lesbians, and people who are transgender? It is never too early, or too late, and Pride Fest is a great place to start or continue in raising sexually healthy children. Pride means different things to different people, whether you identify as part of the LGBTQ+ community or stand with them as allies. For some, it is about standing up for equality and human rights, and being role models for younger generations. For many, it’s about being part of a celebration where we put our differences aside and stand together as one community. Look at all the UU Principles you will be demonstrating by attending Pride! Show your children a kind and loving community that encourages discovery, creativity, and individual expression. Bringing your children to Pride demonstrates that you are open to the many ways people can identify and love, which is particularly important for them to know as they grow and discover who they are. Most importantly, they learn that being a UU is not only about tolerance and acceptance, but also about love and community. This year’s Pride Parade is June 10 from 11 am to 2 pm in West Hollywood. Some UUSM members are leaving from the church by Uber and Lyft. The parade is held in West Hollywood Park, along San Vicente Boulevard, between Santa Monica Boulevard and Melrose Avenue. Informed by new knowledge and inspired by ancient wisdom, Religious Naturalism weds scientific understanding of the universe with perceptions, values, and reverence usually reserved for more traditional religious positions. It counts among its forebears thinkers such as Lao-Tzu, Spinoza, and Einstein; modern proponents include Ursula Goodenough, Loyal Rue, Stuart Kauffman, Michael Dowd, and many Unitarian Universalists. Join me for an introductory exploration of Religious Naturalism and its implications — for our movement and our world. What if we really did regard nature itself as sacred? How do concepts of god(s) and the divine fit into such a framework? Are scientific inquiry (the Universe revealing itself) and spiritual inspiration inextricably linked? We will meet on Saturdays, June 2, 9, and 16, from 4 to 6 pm. Little reading outside of our sessions will be required, and material will be provided. Check weekly announcements, stop by the Adult RE table to, or send me an email to sign up. 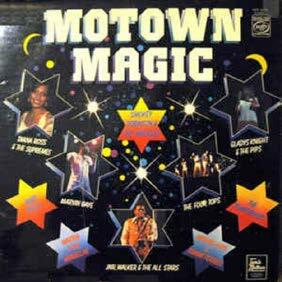 The Dining for Dollars Choir Concert will be held in the sanctuary on Saturday, June 9 at 7 pm, presenting Motown music from the 1950s, 60s, and 70s. Tickets are $20, and include a fabulous after-party in Forbes Hall. Tickets can be purchased at the door. The concert supports the UUSM operating budget. This annual fundraiser is a congregation favorite; don’t miss it!